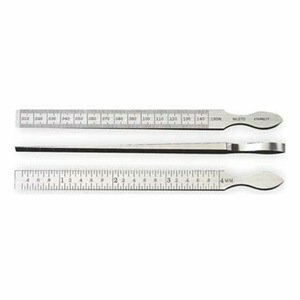 681-51292 This item features : -Very useful tool, especially for bearing work and for gaging slots. 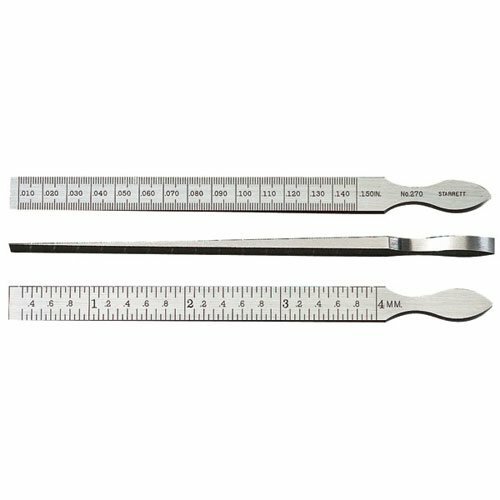 -Accurately tapered throughout its entire length for quick and convenient measuring of slot widths, etc. . -Range : 0. 010 in [Min], 0. 150 in [Max]. -Length : 6 1/4 in. -Width : 7/16 in. -Graduation(s) : . 010 to . 150 in. in thousandths of an inch, one side, . 3 to 4mm in one-twentieth of a mm, reverse side. -Material : Steel. -Price is for 1 Each.